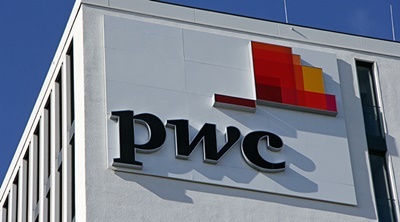 PwC India will hire 1,000 digital technology experts over the next three years to strengthen capabilities, which include building digital solutions and delivering them to customers and its internal teams. The firm will invest Rs 100 crore towards the development of digital solutions, in addition to ongoing investments in digital R&D and talent for building tech-enabled solutions. It also launched 40 tech solutions spanning digital, finance, risk and compliance and tax. These solutions help clients with emerging technologies like cloud, artificial intelligence and mobile. These technology-based tools and solutions will get integrated with the company’s existing service offerings, said Deepankar Sanwalka, partner and leader – advisory, PwC India. Many of the solutions launched are already in use by clients in India and abroad. PwC India is investing in both people and technology to provide value-added services to clients. This will enable the firm to take up technology-based projects from other network firms. “The focus is on building a digital ecosystem of solutions adoptable for plug-and-play to solve client problems using emerging technologies. We are also changing our delivery model to ensure that we deliver outcomes to our clients quicker,” said Sivarama Krishnan, a partner at PwC India. The company is moving beyond the scope of existing service offerings to unlock new value for clients by exploiting the potential presented by emerging technologies. By working with startups and product development ecosystems through alliances, PwC India will be able to address the most pressing challenges clients face by bringing in innovation to scale. The management consulting team of KPMG is looking to hire 8,000-9,000 people in India, a 10th of them to be deployed on projects overseas, as they see global clients increasingly want it to implement and showcase results, instead of just advising strategy.